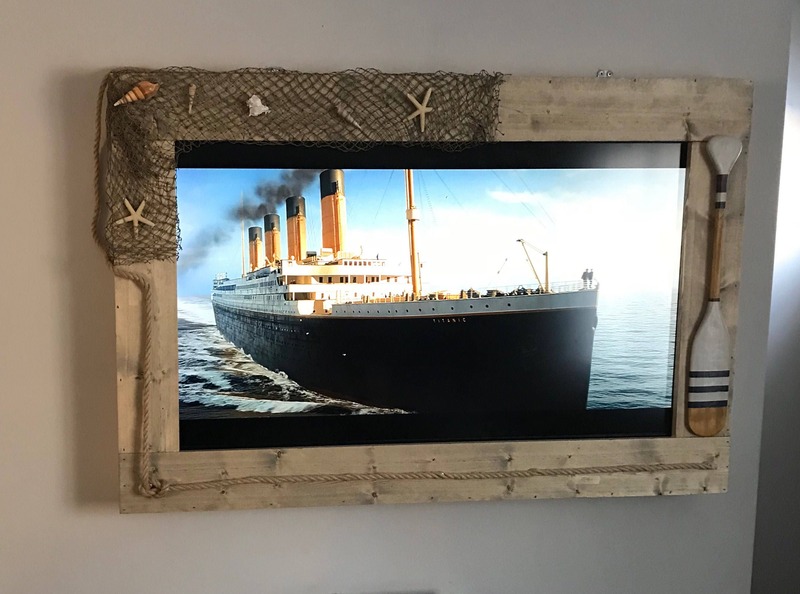 This custom TV frame is just what your beach house needs! It is hand-built to your size specifications for a perfect fit. The nautical accents give a beachy look to any wall-mounted flat-panel TV. 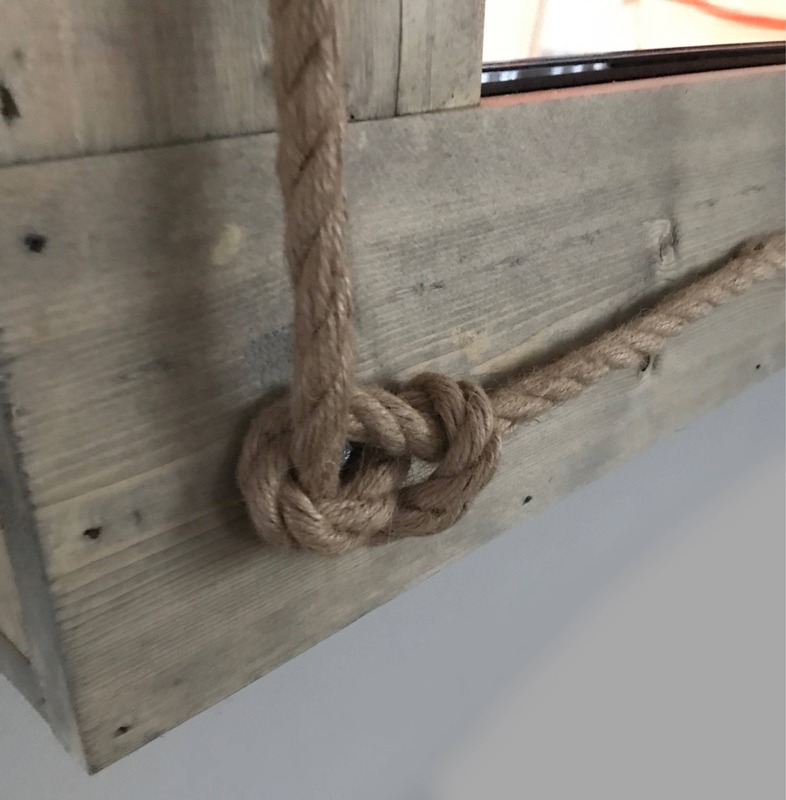 Lightly stained to mimic the sun-bleached look of driftwood. 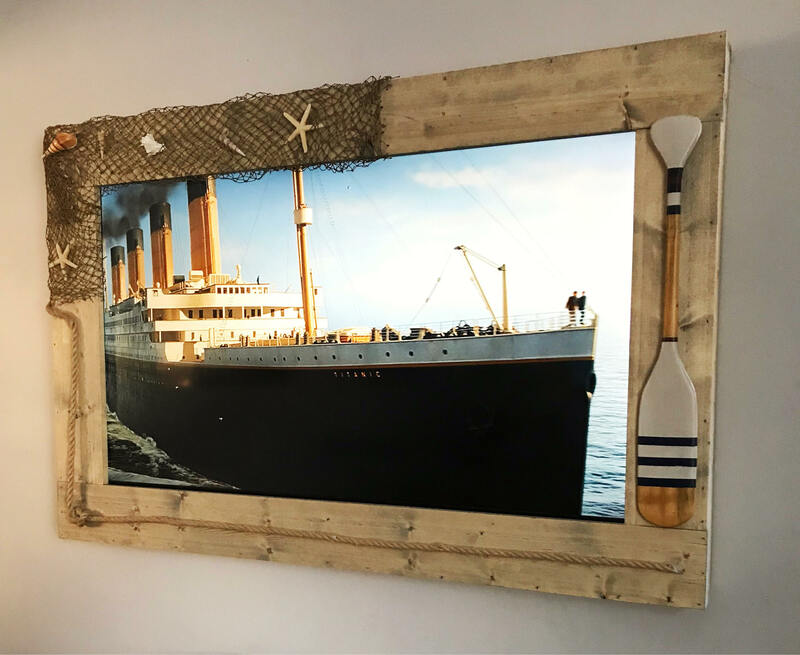 You don’t have to live at the beach to love the beach - so this frame is even great for land-lubbers! The price reflects the size in the photos which has a 55" screen.